Get Free Visa Assessment From An Experienced US Immigration Attorney Today! We will personally review your situation and suggest the most suitable visa category. 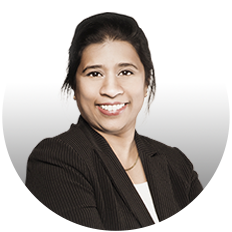 Our immigration attorney Ms. Ancy S. Varghese handled hundreds of immigration matters successfully and has a near 100% success helping clients with immigration approvals. 10-minute consultation with an experienced immigration attorney. Personal review of your specific situation. Confirmation of your U.S. visa eligibility. Fill out the form and a VisaPro representative will arrange a call with the attorney to analyze your immigration needs and determine eligibility. Yes, I’d like to speak to an immigration attorney for FREE.